Located in the heart of Adelaide’s thriving CBD shopping precinct, the stylish City Cross Shopping Centre holds a nostalgic place in The Makris Group’s impressive portfolio as the company’s first major redevelopment project. 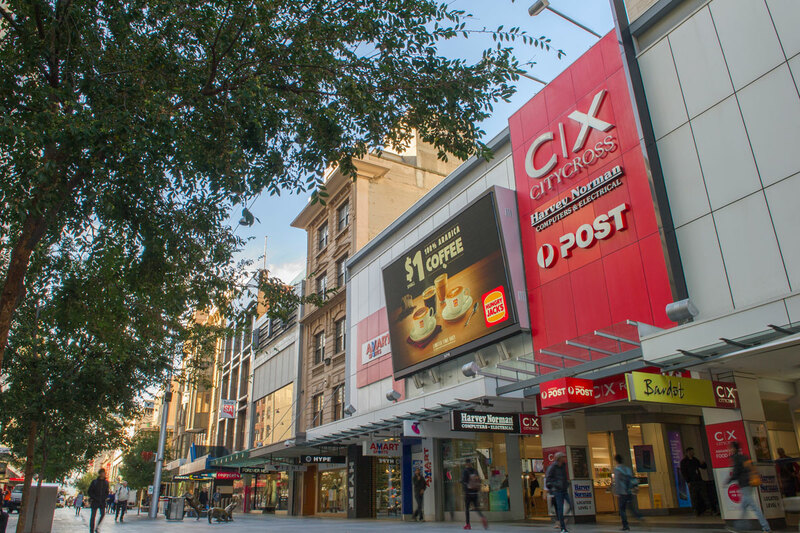 Launched in 2004, the $25 million redevelopment of the City Cross Shopping Centre breathed new life into the heart of the city, offering a superior retail experience with 117 tenancies. The home of Adelaide’s very first international food court, City Cross continues to offer an array of cuisine for city commuters and professionals, with inviting seating and tantalising options for breakfast, lunch or a coffee break. Major brands like KFC, Hungry Jacks, Boost Juice and Muffin Break join boutique food vendors including Sumo Salad, Mad Mex, House of Polish and City Yum Cha & BBQ, along with popular new additions, Sushi Sushi and Roll’d. Customers are lured by the delicious and affordable range of food and beverages, then stay to explore a superior retail offering covering fashion and beauty, jewellery, homewares and more. 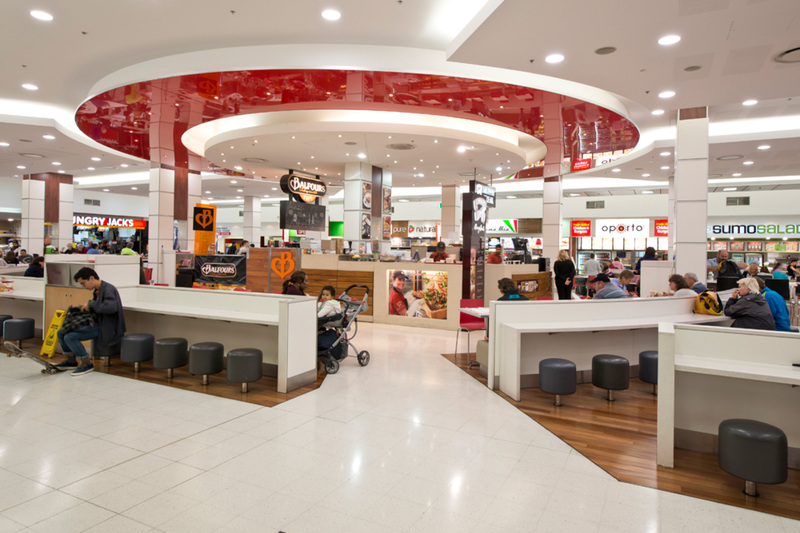 Iconic brands and major retailers include Harvey Norman, Rebel, Bardot, Mecca Cosmetica, Telstra Shop, Karma Living, EB Games, and Australia Post. 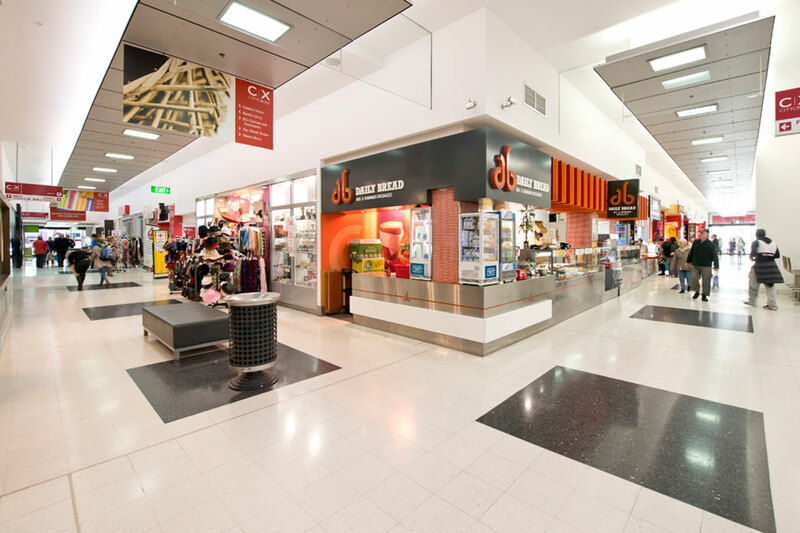 The two-level centre comprises an area of approximately 10,541.90sq m and is serviced by strategic entrances from Rundle Mall, Grenfell Street, James Place and Gawler Place.